If you are a consumer who knows just what brand or style of lighting fixtures you are looking to buy, the internet can save you money. Conversely, if you are just learning about what lighting fixtures, interior and exterior, are available for your home, the internet is a great place to get educated. To begin with, here are several types of interior fixtures available for your home: sconces, chandeliers, table and floor lamps, pendants, ceiling mounts, track lighting, recessed lighting and bathroom fixtures. Exterior fixtures include: landscape lighting, exterior sconces, exterior pendants, exterior ceiling fixtures, post lanterns, and flood lights. Take a look at the best ways to find these fixtures online; no matter what stage of the search for home lighting you’re in, the internet is a valuable resource. You don’t need to be a lighting expert to shop by style: all you have to do is find a fixture that matches your home décor. If, for example, you are looking for a chandelier to hang over the dining table of your farmhouse, a rustic chandelier would be a good style choice. A well organized website should be intuitive and easy to navigate. Look for online lighting stores that begin with the type of fixture you are looking to buy: chandeliers, wall sconces, exterior fixtures. From there, the site should take you to a selection of lighting styles: Rustic, Traditional, Contemporary etc. Once you’ve decided on a lighting style, you should then be able to customize your search for details such as: price, brand, size and finish. This is also a great way to educate yourself. Take advantage of the many thousands of photographed fixtures and information such as lamp fixture size, finish, price and brand. 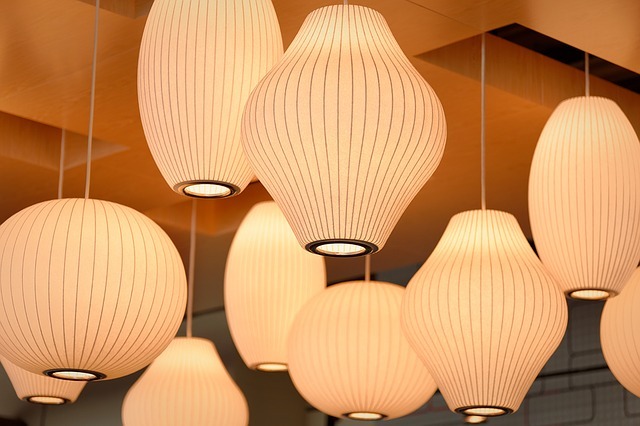 Granted, when you go to a quality lighting showroom the store will be aglow with chandeliers and light fixtures. What happens when you are looking for a particular brand or fixture and they simply don’t have it in stock? With the internet, knowing a particular fixture model or brand, means that you can search specifically for your product. This can also save you the time and the hassle of going to the store and then having to wait while the store to orders your particular fixture. The most popular time to shop for exterior lighting is during spring and summer. With beautiful weather and people spending more time outdoors entertaining, this is the time to light up decks, patios, and landscapes to create ambiance, and safety. In the front of the home, with entry areas and walkways, exterior lamps and lighting are essential for safety and home security year round. Top exterior lighting manufactures of 12 volt, low voltage lighting includes: Focus and Arroyo Craftsman. Yet there are several other top lighting manufacturers that focus on the exterior niche as well. Take a look at Kichler, Progress, Hinkley and Sea Gull. If you are looking for name brand quality, one of the best approaches is to comparison shop online. Then, find a reputable online lighting retailer that offers a low price guarantee (read the policy carefully). This way, you can get the best price available for that brand.